New Tribù outdoor furniture collections for 2018. 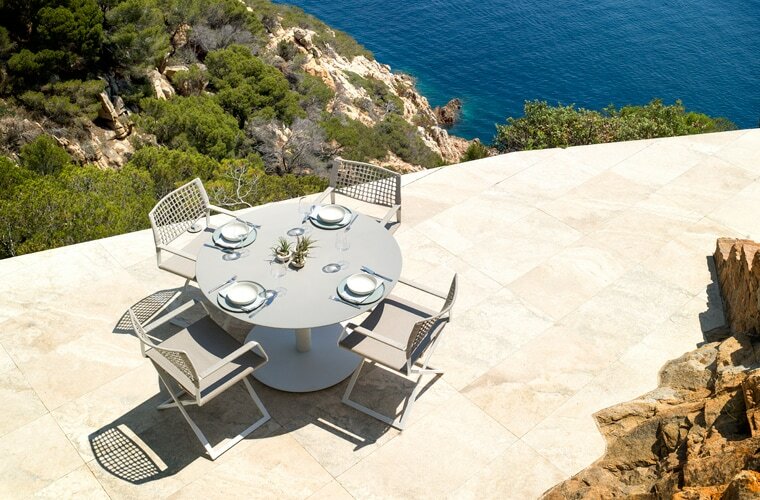 New Tribù collections for the best of outdoor living in 2018. A new year brings the anticipation of a new Tribù catalogue filled with inspiration for the coming months of outdoor living. They have added to some of the best-selling collections and introduced new tables, chairs and accessories in striking and beautiful designs. Piergiorgio Cazzaniga has updated his CTR collection with the elegant Meridienne daybed, matching Lounge Bed and Bar Stool, each designed around a seamless, powder-coated, tubular frame with an ingenious ‘floating’ back support. 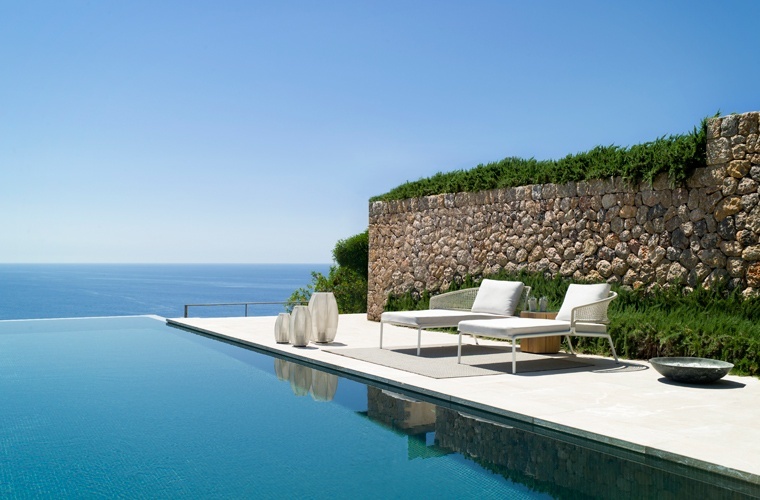 Outdoor living at its best and as the sun sets, Monica Armani’s Zoë lights, cast soft pools of light. Refresh your outdoor living and dining scheme with Marc Merckx’s simple, circular T-table and Monica Armani’s lattice-backed Regista Armchairs. Grouped in different sizes, Marc Merckx’s Hexagon side tables in teak and glazed lava stone recall the Giant’s Causeway rock formations that inspired them. 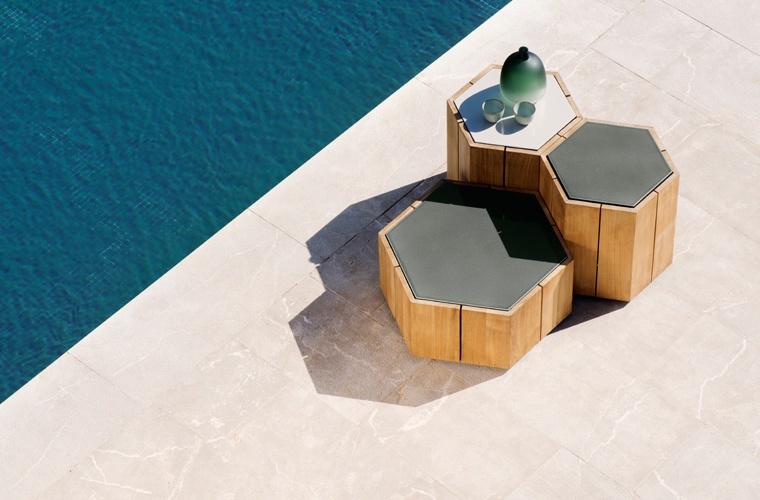 Like all Tribù designs, Hexagon works beautifully alone or combined with pieces from Tribù’s full range of weather-proof outdoor furniture. The fun is coming up with the mix that suits your outdoor living lifestyle. The Tribù Nox table is long enough to seat family and friends and it’s segmented, glazed lava stone top is water, heat, frost, UV and stain-resistant. 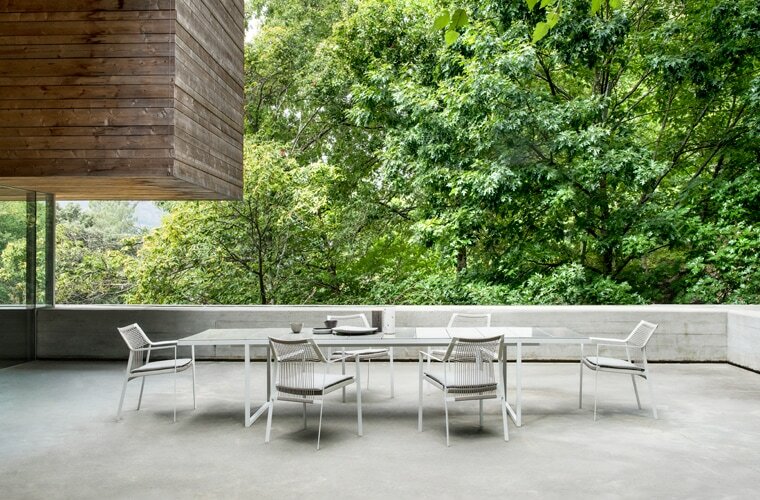 Complete the outdoor living scene with Yabu Pushelberg’s Nodi chairs, which balance a slimline geometric frame with gently yielding woven Canax. Natural materials, hard-wearing fabrics and finishes and a timeless design ethos are the predictions by Tribù for the happy and rewarding year ahead. Their 2018 collection is available from February 2018, but if you can’t wait until then, you can view and download the Tribù catalogue in the meantime.